You won’t want to refuse this offer! Celebrating the 45th anniversary of the iconic Godfather film series, the Corleone family have received the Funko stylization effect. 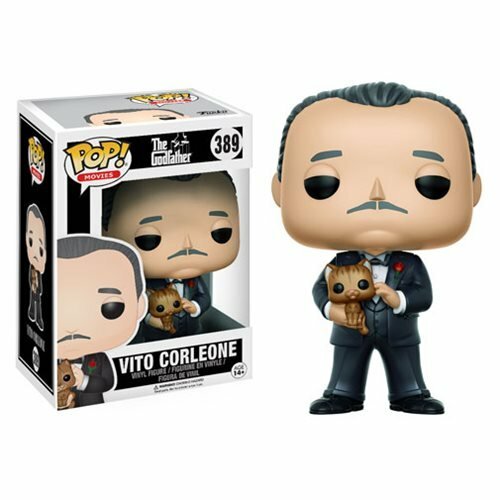 Packaged in a window display box, the Godfather Vito Corleone Pop! Vinyl Figure measures approximately 3 3/4-inches tall. Ages 14 and up.